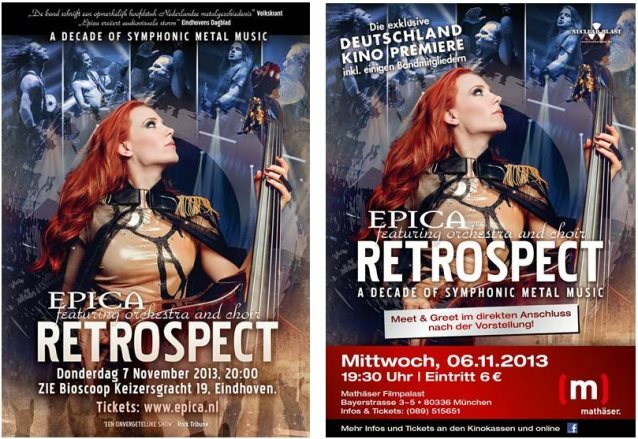 Dutch symphonic metal band EPICA has announced the first two movie theater premieres for "Retrospect". During these premieres a number of band members will join their fans with the first exclusive viewing of the film. The first premiere will be held on Wednesday, November 6 at the Mathäser Multiplex Kino in Munich, Germany. The second premiere will take place a day later — on Thursday, November 7 — in Eindhoven, The Netherlands at Service Bioscoop Zien. 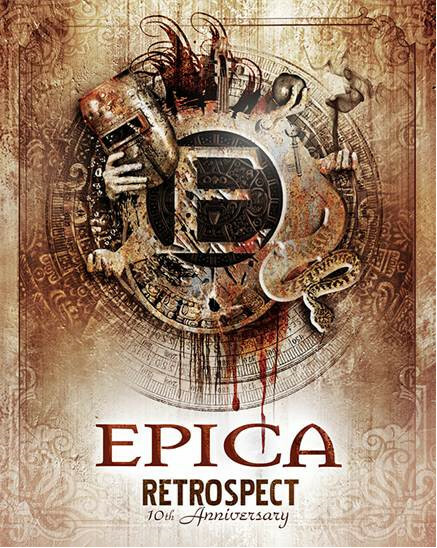 EPICA celebrated its 10th anniversary with a one-night-only event, dubbed "Retrospect", on March 23 in Eindhoven, The Netherlands. The band was accompanied by the seventy-piece Reményi Ede Chamber Orchestra and the Miskolc National Theatre Choir, playing an unforgettable three-hour best-of set. 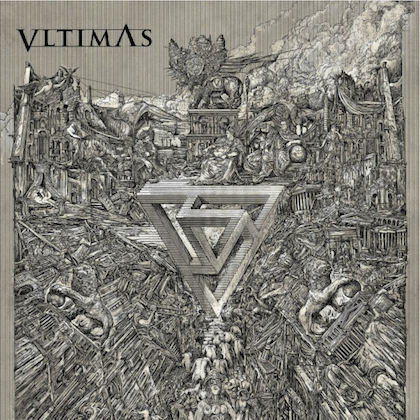 According to respected Dutch newspaper the Volkskrant, "The band wrote a chapter of Dutch metal history" this evening. Rock Tribune (Belgium) thought it was "an unforgettable show." 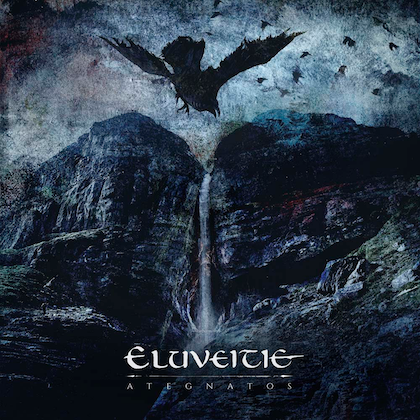 Ten high-definition cameras captured this very special sold-out show while EPICA played in front of nearly five thousand ecstatic fans. In addition to a collection of the band's biggest hits from across the spectrum of their entire catalog, this once-in-a-lifetime spectacular also featured the live debut of "Twin Flames" and the previously unreleased "Retrospect", covers of classics by Vivaldi, Pergolesi, and Oscar-winning film composer John Williams, two guest collaborations with the venerable Floor Jansen (NIGHTWISH, REVAMP), and a very special performance of their breakthrough single "Quietus" with founding members Jeroen Simons, Ad Sluijter and Yves Huts. On November 8, Nuclear Blast will release "Retrospect" as a deluxe hardcover book with 48 pages, both as a 2DVD/3CD and 2Blu-ray/3CD version.